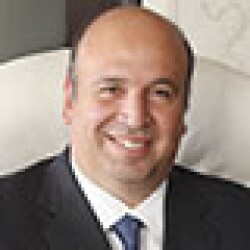 Prior to founding Qalaa Holdings, Mr. Heikal was an executive board member and Managing Director of EFG Hermes Holding, which he helped transform from a small financial consultancy into the leading investment bank in the Arab world and the second largest full-service investment bank in global emerging markets. He was head of asset management (1994-95), head of securities (1997-99), head of investment banking (1996-97) and head of private equity (1999-2001). There, he spearheaded highly successful private equity investments, one leading to the creation of Egypt’s leading IT company (Raya Holding) and another to the nation’s largest natural gas distribution company (Genco). He also raised three rounds of finance for regional mobile telecommunications operator Orascom Telecom and led the IPOs of Orascom Construction Industries and Orascom Hotels, among other landmark transactions. Mr. Heikal holds a Master’s degree and a PhD in Industrial Engineering and Engineering Management from Stanford University. Prior to co-founding Qalaa Holdings, Mr. El-Khazindar was Executive Director of Investment Banking at EFG Hermes where he advised on landmark M&A and IPO transactions in the region, and where he started his career in 1996. During 1999-2000, he was on secondment to Goldman Sachs in London. Mr. El-Khazindar serves on the boards of several leading regional companies including El Sewedy Electric and Magrabi Retail, and on the Advisory Committee of the Emerging Markets Private Equity Association. He also serves as a Trustee of the American University in Cairo, as a Trustee of the Cairo Children’s Cancer Hospital, and as a Fellow of the Aspen Institute’s Middle East Leadership Initiative. In 2013 Mr. El-Khazindar was selected as a Young Global Leader by the World Economic Forum. 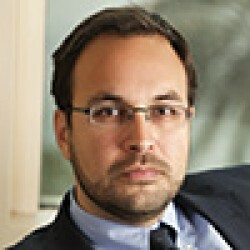 He holds a BA in Economics from the American University in Cairo (1996) and an MBA from Harvard Business School (2003). Prior to joining Qalaa Holdings, Mr. Sadek was Managing Director of the Arab Investment Company (ABIC), one of the largest private-equity firms in Egypt. During his tenure, Mr. Sadek returned a substantial part of the firm’s total investments (valued at over EGP 500 million [US$ 90.91 million]) to ABIC’s shareholders in the form of dividends and share buybacks. Mr. Sadek holds a Master’s in International Securities, Investment and Banking from the Business School for Financial Markets at the University of Reading in the United Kingdom. He has extensive experience in corporate banking and credit risk assessment through his work both at the Commercial International Bank (CIB) and Arab Bank. Mr. Farouk joined Qalaa Holdings in 2006 with more than 16 years of experience in finance and accounting, having previously served as Finance Manager of Fayrouz International A.G., a wholly-owned subsidiary of Heineken International. At Fayrouz International, he was responsible for leading high profile projects related to transfer pricing, tax structuring and financial systems. Mr. Farouk joined Fayrouz from Procter & Gamble, where he served as Senior Costing Manager, and began his career at EFG Hermes Securities Brokerage, the largest broker in the Arab world, handling high-net-worth and institutional clients. Magdy El-Desouky is a Non-Executive Member of the Board of Directors of Qalaa Holdings. Mr. El-Deskouky has since 1994 been with Egypt’s Youssef Allam Group, where he is presently Vice-President for Investments. With more than 35 years of experience at both global and regional investment and financial management firms, Mr. El-Dessouky was previously assistant financial auditor of Le Meridian Jeddah Hotel, the financial auditor of Ramada Jeddah Hotel, General Director of Ramada Jeddah Hotel, and the administrative director and finance manager at Naghi Motors Company in the Kingdom of Saudi Arabia. In addition to his service to Qalaa Holdings' Board of Directors, he sits on the boards of companies including EGYCAP Investment, MENA for Real Estate Investment, National Company for Development and Trade, Golden Crescent, Bonyan, Gozour and United Company for Foundries. Mr. El-Desouky holds a BA in Commerce from Cairo University. Philip Blair Dundas, Jr. is a veteran of the Middle East business community with particular expertise in energy, finance, restructuring, joint investment as well as mergers and acquisitions. Since 1981 Mr. Dundas was the Managing Partner of the Abu Dhabi office of Shearman & Sterling LLP, a position he has held until 2013, having joined the firm in 1973 in New York. He has previously served as a director of Hyundai Oilbank and STX Metals of Korea as well as Xojet and Fuji Marine. Mr. Dundas has received from industry publications wide recognition of his longstanding contributions to business and finance in the Middle East, particularly as it relates to energy and M&A. He earned his BA from Wesleyan University and his JD from Washington & Lee University. Dr. Mona Makram-Ebeid has been a professor of political science and sociology at the American University in Cairo since 1983. She served in Egypt’s Parliament from 1990-95, in which capacity she was a member of the parliament’s committees on foreign affairs, education and the budget. She is a former advisor on the MENA region to the World Bank and is a consultant to the Center for Strategic and International Studies in Washington, DC. Makram-Ebeid is a founding member of the Egyptian Council for Foreign Affairs and works actively with a range of international organizations and regional NGOs. Dr. Dina Sherif is CEO of Ahead of the Curve a social enterprise promoting responsible / sustainable management practices, more inclusive and equitable economies and the development of socially innovative business models to support both economic growth and social change. She is also associate professor of practice at the American University of Cairo, where she holds the Willard Brown Chair in International Business and is director of the AUC Entrepreneurship Center. Sherif is also an advisor to the President of Egypt on economic development and job creation and a recognized author and editor of publications on responsible business practices in the Arab region. Prior to founding Citadel Capital, Mr. Heikal was an executive board member and Managing Director of EFG Hermes Holding, which he helped transform from a small financial consultancy into the leading investment bank in the Arab world and the second largest full-service investment bank in global emerging markets. He was head of asset management (1994-95), head of securities (1997-99), head of investment banking (1996-97) and head of private equity (1999-2001). There, he spearheaded highly successful private equity investments, one leading to the creation of Egypt’s leading IT company (Raya Holding) and another to the nation’s largest natural gas distribution company (Genco). He also raised three rounds of finance for regional mobile telecommunications operator Orascom Telecom and led the IPOs of Orascom Construction Industries and Orascom Hotels, among other landmark transactions. Mr. Heikal holds a Master’s degree and a PhD in Industrial Engineering and Engineering Management from Stanford University. Prior to co-founding Citadel Capital, Mr. El-Khazindar was Executive Director of Investment Banking at EFG Hermes, where he advised on key transactions, and where he started his career in 1996. In 1999-2000, he was on secondment to Goldman Sachs in London, advising firms on strategic options and M&A transactions. Mr. El-Khazindar sits on the boards of leading companies including ASEC Holding and El Sewedy Cables. He was Chairman of the Capital Markets and Investment Committee at the American Chamber of Commerce in Egypt, was a member of US-Egyptian Business Council. He is a member of the Advisory Committee of EMPEA, is a founding member of EPEA, a board member of the Egyptian Capital Markets Association, and a member of the board of advisors of AUC’s School of Business. 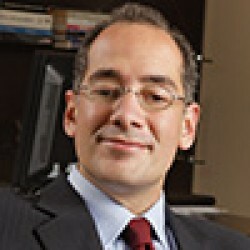 He holds a BA in Economics from the American University in Cairo (1996) and an MBA from Harvard Business School (2003).